Washington: The US Federal Bureau of Investigations on Thursday released age-progressed photographs of four alleged hijackers charged with the 1986 hijack of Pan Am Flight 73 that killed 20 people, including Indian flight attendant Neerja Bhanot. The hijackers are Wadoud Muhammad Hafiz al-Turki, Jamal Saeed Abdul Rahim, Muhammad Abdullah Khalil Hussain ar-Rahayyal, and Muhammad Ahmed al-Munawar. 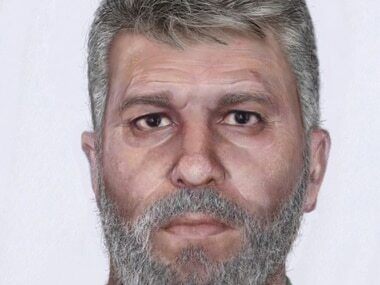 These images were created by the FBI laboratory using age-progression technology and original photographs obtained by the FBI in the year 2000, a media release said. The 5 September, 1986 storming of Pan Am Flight 73 which had landed in Karachi from Mumbai resulted in the killing of 20 passengers and crew, including two Americans, the attempted murder of 379 passengers and crew, and the wounding of more than 100 persons on board. The Department of State Rewards for Justice Programme offers a reward of up to $5 million each for information leading to the arrest and/or conviction of the alleged hijackers. Each of these individuals are believed to have been members of the Abu Nidal Organization (ANO), previously on the US State Department's list of designated Foreign Terrorist Organizations. Each of them currently are on the list of FBI's most wanted terrorists. Bhanot, who headed the attendants on the flight, lost her life in protecting the passengers. She was posthumously awarded the Ashok Chakra for her bravery.